Tomorrow is the day for South Sudan. A new nation will be born and the chance for Freedom and sustainable Peace is becoming real. From 9 to 15 January earlier this year, the people of Sudan decided for the separation of the country in the referendum with an overwhelming 98.83% of almost 4 Million valid votes. 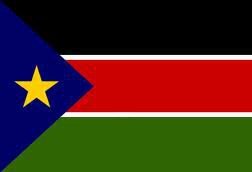 South Sudan is set to gain independence from Sudan on 9 July 2011 as the outcome of a 2005 peace deal that ended Africa’s longest running civil war. Hassan Arouni, senior journalist for the BBC African Services, explains the importance of the division of Africa’s biggest country in two.